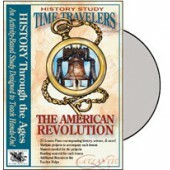 HISTORY Through the Ages Time Travelers American History Study: The American Revolution. 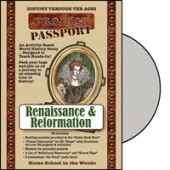 "The American Revolution," contains 25 lessons that can spread across 5-10 weeks, covering the politics and conflicts that launched a new nation, such as: Colonial beginnings, the French & Indian War, problems leading up to the revolution, Continental Congress, General Washington, women of the war, several specific battles, many important figures who stood for the cause of liberty, and much more! 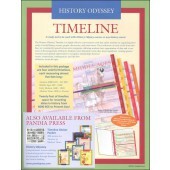 * Creative Writing * Colonial Recipes * Factfile Cards * File Folder Game * Science Experiments * Notebook Timeline * Penmanship Pages * Notebooking Activities * Three-dimensional Projects such as Painting Miniature Soldiers, Making a Haversack, Dioramas, and so much more! * Authentic Crafts such as Candle Dipping and Creating an authentic "Floorcloth" Table Mat! 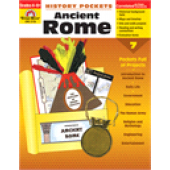 * 11 Lap BookTM Projects, including pop-ups, layered books, etc. * And a final "Tribute to the Revolution" to bring the unit to a close! Timeline Suggested Placement Guide. 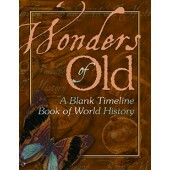 Works beautifully with History Through the Ages Timeline Notebook (Item #3217). 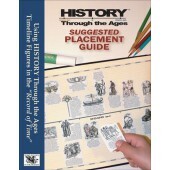 With over 1,260 images in the HISTORY Through the Ages Historical Timeline Figures collection, this guide will help with previewing how many images will fill a page in the future, allowing children to determine where to align the figures, as well as where to include their own annotations and additions! 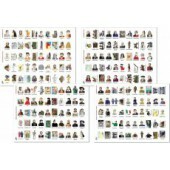 Having the child involved in looking up the location of figures helps in developing necessary research skills. 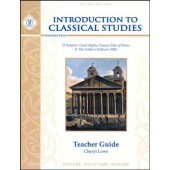 Although this guide has the figures specifically placed, there is not just one set way! Children are encouraged to place the images where they see fit. This guide will help by giving a glimpse of what's to come, aiding your child in the decision making process! 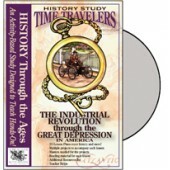 HISTORY Through the Ages: Time Travelers American History Studies: The Industrial Revolution Through the Great Depression. 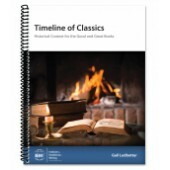 The Industrial Revolution through the Great Depression contains 25 lessons that can spread across 5-10 weeks, covering several eras and witnessing changes in American history as it reached a modern age. 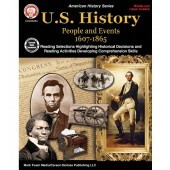 Topics include: The Transcontinental Railroad, The Indian Wars, The Gilded Age, Innovations & Inventors, Immigration, Growth of the Nation, People of Interest, The progressive Era, WWI, The Roaring 20s, The Stock Market Crash, The Dust Bowl, and much more! 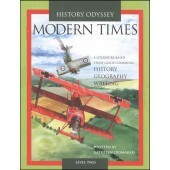 Activities include: Creative Writing, Civil War Recipes, Factfile Cards, File Folder Game, Notebook Timeline, Penmanship Pages, Notebooking Activities, Experiments, Three-dimensional Projects such as making a Suspension Bridge, A Wright Brothers "Flyer" a Flip Book, and a Turn of the Centuries Game. 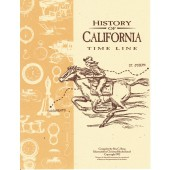 Also includes authentic crafts such as Paper Tole, a Penny Rug, a Yo-Yo Quilt, and WWI Silk Postcards. 12 Lap Book Projects and a final "Depression-Era Dinner"to bring the unit to a close. 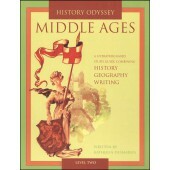 Also included are teacher helps, resource lists, teacher keys, and a guide-at-a-glance. 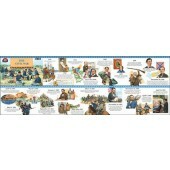 Photos and drawings help illustrate the directions for completing over 50 activities. 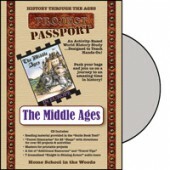 Format: CD (Mac & PC Compatible)Suggested Grades 3-8. 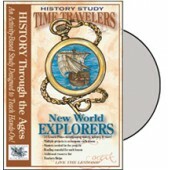 Time Travelers History Study - "New World Explorers" CD contains 25 lessons that can spread across 5-10 weeks, covering: Reasons for Exploration, A Sailor's Life, Ships, Navigation, 23 Explorer Profiles, Pirates, and more! 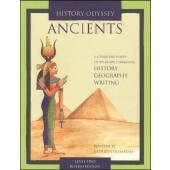 Activities include: Creative Writing, Factfile Cards, Science Experiments, Penmanship Pages, European Recipes, File Folder Games, Notebook timeline, Notebooking Activities, Three-dimensional Projects such as an Incan Artifact, Ship's Log, Pueblo Diorama, 10 Lap Book Projects, including mapping, pop-ups, etc. 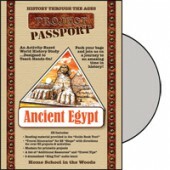 and a final "Exploration Celebration" to bring the unit to a close, all on one CD! 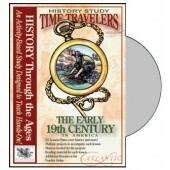 Full color gallery of pictures are also included on the CD to aid in visualizing the final result of the projects and activities.